The Modern Vintage II Head by Aquarian is coated, two-ply drum head composed of two 7mil plies. Aquarian's Vintage Coating and tone with the added durability that a two-ply head delivers.Available in sizes of 8" to 18". The Modern Vintage II Head by Aquarian is coated, two-ply drum head composed of two 7mil plies. 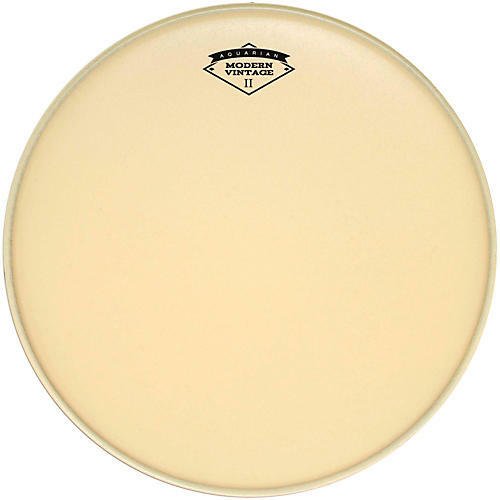 Aquarian's Vintage Coating and tone with the added durability that a two-ply head delivers. Available in sizes of 8" to 18".